I tend to exclusively read snooty literary fiction, the books shortlisted for the Booker Prize or National Book Award finalists and whatnot. That is to say I slog through their occasionally opaque paragraphs and pretend I'm better for it. 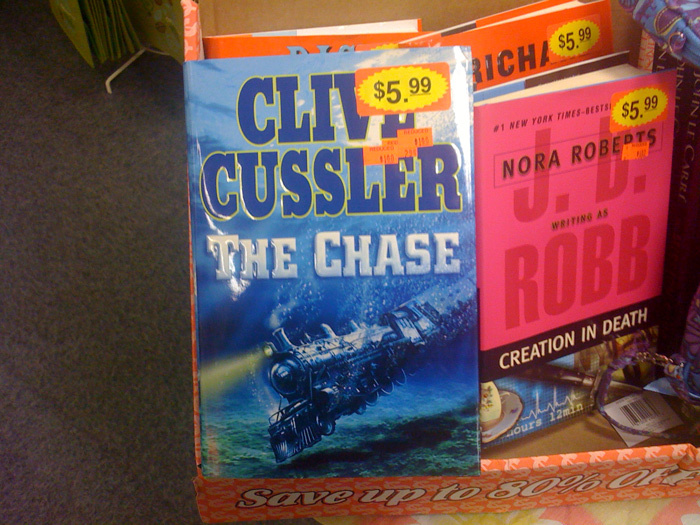 But sometimes I'll be standing in the aisle at CVS and see a book with an awesome underwater steam engine train shining its light on the sea floor and think, "Damn, I'll bet people who read $1 books about magical underwater trains by Clive Cussler are generally much happier than those of us who feel compelled to read whatever it is Ian McEwan churned out this year."